The aim of the Tillsonburg Transportation work is to make transportation better. Why transportation? 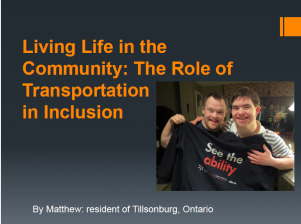 Matthew, a resident of Tillsonburg explains in his presentation Living Life in the Community: The Role of Transportation in Inclusion. Results from the study conducted in Tillsonburg and area is displayed below.  For more details, read the full report, Transportation in Tillsonburg: Getting There. Please contact us if you are interested in becoming active in creating a transportation solution in Tillsonburg.